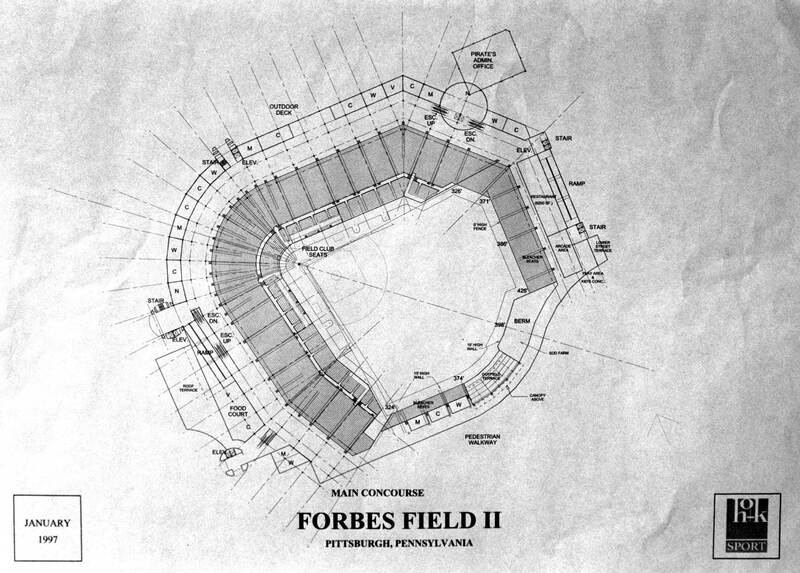 A 1997 drawing of PNC Park by architecture firm HOK (now called Populous). 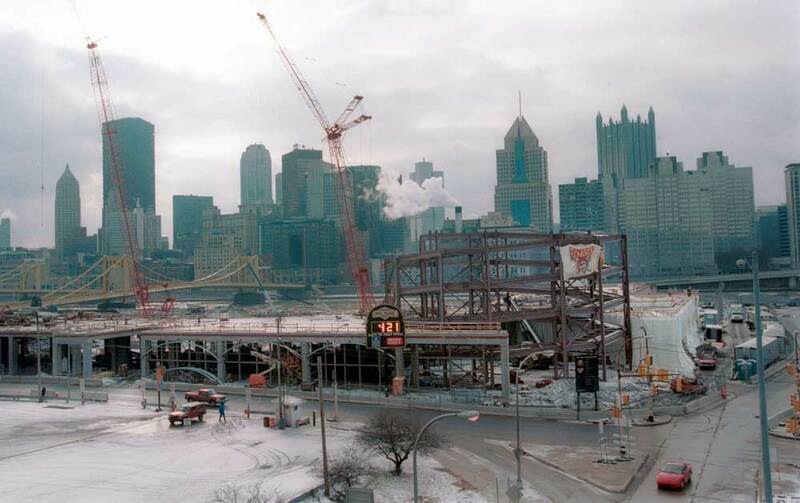 - Kevin McClatchy, then-owner of the Pirates, discussed his efforts to keep the Pirates in Pittsburgh, which were rewarded on April 7, 1999, when construction started on the North Shore site of PNC Park. 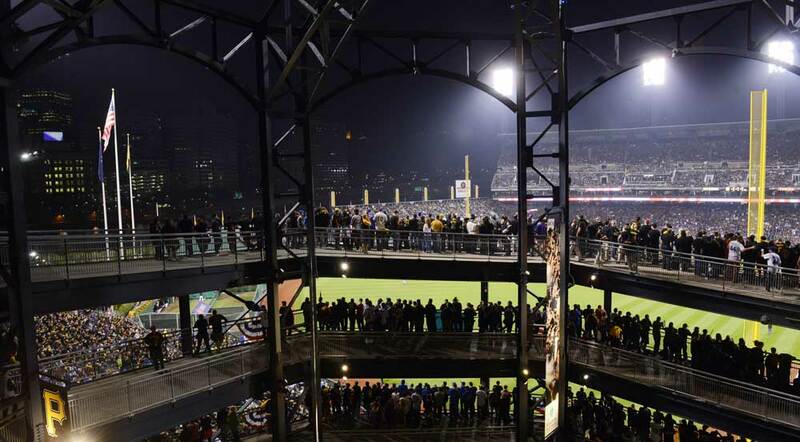 - Pittsburgh Mayor Tom Murphy on the political battles that took place to keep the Pirates in Pittsburgh and secure financing for PNC Park at a groundbreaking event for the ballpark on April 7, 1999. At first, the dealmakers proposed a sales tax hike to build the stadiums, a notion voters summarily rejected in a referendum. Then local leadership, including Allegheny County commissioners Mike Dawida and Bob Cranmer, implemented Plan B, a complicated financing scheme that cobbled together several private and public funding sources for the construction, such as Regional Asset District money, state funds, money from the teams — and minimal contributions from the city. “All the pieces had to fit together, and not everybody liked all the pieces,” Newlin said.